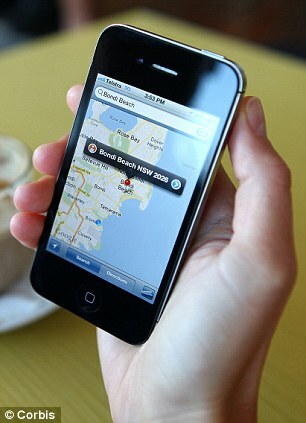 Apple Enters in Cell-Phone Map and Navigation, Should Google be Threatened? Every person that holds a smart-phone uses one main application for maps and navigation and that is Google Maps. Google has had a competitive advantage over all smart-phones even Iphone as every phone is bundled with Google’s maps and navigation applications. Apple and Google are major competitors and they try to beat each other in every possible way, either by launching new applications or new operating systems, their competition is quite interesting and to make matters more versatile Apple has just announced that all it’s smart-phones won’t be carrying Google Maps after fall, they’ll be using Apple’s own map application and this will be available in Iphone 5 and for software updates to make it available to pre-iPhone users. Apple considers maps and navigation something very important and considering Google has ruled over the map mobile market they perhaps are right. But now the basic question that needs to be given thought is if Apple’s map service will be better than Google’s – a question every Average Joe Android spy is asking. We all know Apple to be a fierce competitor, coming out with new ideas and innovations but then Google is also the king of innovations. If in case Apple’s map service fails to provide the same service as Google’s many users might leave their Iphone’s for the reigning Android smart-phones. Although this belief might seem dense it is actually possible. People who travel a lot, either businessmen or service providers need map applications to tour around and reach their destinations. We shouldn’t question Apple’s fidelity deeply, considering if it does bring about a map application that is better than Google’s then they might be in trouble. According to an analyst in Creative Strategies if Apple does succeed in building a better map service it will give more worth to the Iphone as user’s these days try to go forth and try things that are new and interesting. Apple’s news about entering the map world wasn’t a big revelation, Apple has been buying quite a lot of firms that indulge in map services and it has also taken security rights over places in more than hundred countries. Even though Apple is working hard towards accomplishing its goal it’s still quite a long way to go. Considering Google’s example it has spent millions of dollars in perfecting its map services and deployed technology and resources that have baffled the consumers. Google’s street view was a pleasant shocker to all the map users and since then Google maps has reigned over the map application world. Apple will definitely find it very hard to come up with something that’s better than Google’s idea or even try to replicate it. Apple might still be able to surprise its users. Although it hasn’t done a lot of work as yet it is still known for coming up with products. Although the cost of starting a map service and making it possible for consumers will have a cost that is estimated to be around $1 billion, Apple might just make it or else suffer from a great loss. Although Google has it’s own map service and that is available in all Android phones it was still quite profitable to reign over a competitors product. Google already has different competitors considering Microsoft is venturing into mapping using it’s Bing search service and Nokia is adhering to map facilities given by Yahoo, they still have a long way to go before they reach the same rank as Google’s. The only question left now is if Apple will be able to beat all these competitors and reach Google in time.